Italian high-quality leather sofa and furniture manufacturer. New Trend concepts is among the huge brand-name beds and sofas that Furnimax furniture Megastore Blackburn Road accrington Lancashire have on offer. To make way for new models coming in we currently have a clearance sale on to release some stock surplus from our warehouse from this fantastic craftsman quality leather manufacturer. 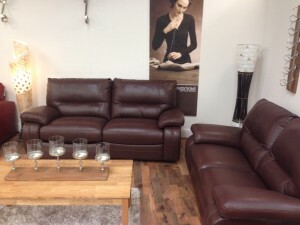 These offers are while stocks last we have some display models to clear the first is Greta three seater + two seater static full semi aniline cognac thick genuine top grain high-quality leather sofa set. 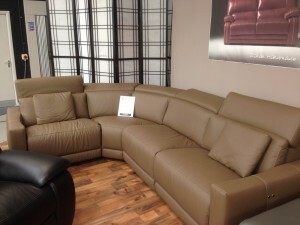 This set was previously priced at £2995 and now has A further £1000 discount bringing it to just 1999 less than cost price. Secondly we have the new trend concepts premium three seater with Electric recliner in stunning thick category C black leather cover and a fixed two seater with soft seating and high-back comfort this handmade sofa set features grey contrast stitch and is absolutely stunning. Now reduced from 3399 just 2499 this suite offers fantastic value for money. 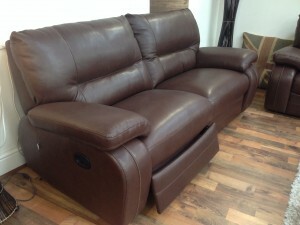 Next we have the Antares three seater electric recliner in a semi aniline sick top grade category C Chestnut leather handmade in Italy featuring light brown saddle contrast stitch and electric reclining motion on the three seater with again a two seater high back to match. 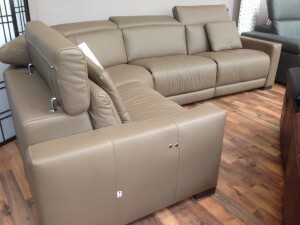 We also we have an electric reclining corner group the Eridano featuring Chrome electric buttons and the adjustable pull up headrests this brand-new model usually is for 4999 to order this display model is just 2999 and is in fantastic fusion colour beige/mushroom earth.